Return to Site Use Agreement page. This topic has two parts: Colorado's Ski Safety Act of 1979 (below; see especially "Duties of Skiers"; amendments are not shown here--see an attorney) and Attorney General and Sheriff Warning Against Reckless Skiing. This page may not be up to date; consult an attorney. This article shall be known and may be cited as the "Ski Safety Act of 1979". The general assembly hereby finds and declares that it is in the interest of the state of Colorado to establish reasonable safety standards for the operation of ski areas and for the skiers using them. Realizing the dangers that inhere in the sport of skiing, regardless of any and all reasonable safety measures which can be employed, the purpose of this article is to supplement the passenger tramway safety provisions of part 7 of article 5 of title 25, C.R.S. ; to further define the legal responsibilities of ski area operators and their agents and employees; to define the responsibilities of skiers using such ski areas; and to define the rights and liabilities existing between the skier and the ski area operator and between skiers. (1) "Base area lift" means any passenger tramway which skiers ordinarily use without first using some other passenger tramway. (2) "Competitor" means a skier actually engaged in competition or in practice therefor with the permission of the ski area operator on any slope or trail or portion thereof designated by the ski area operator for the purpose of competition. (3) "Conditions of ordinary visibility" means daylight and, where applicable, nighttime in nonprecipitating weather. (3.5) "Inherent dangers and risks of skiing" means those dangers or conditions which are an integral part of the sport of skiing, including changing weather conditions; snow conditions as they exist or may change, such as ice, hard pack, powder, packed powder, wind pack, corn, crust, slush, cut-up snow, and machine-made snow; surface or subsurface conditions such as bare spots, forest growth, rocks, stumps, streambeds, and trees, or other natural objects, and collisions with such natural objects; impact with lift towers, signs, posts, fences or enclosures, hydrants, water pipes, other man-made structures and their components; variations in steepness or terrain, whether natural or as a result of slope design, snowmaking or grooming operations, including but not limited to roads and catwalks or other terrain modifications; collisions with other skiers; and the failure of skiers to ski within their own abilities. The term "inherent dangers and risks of skiing" does not include the negligence of a ski area operator as set forth in section 33-44-104 (2). Nothing in this section shall be construed to limit the liability of the ski area operator for injury caused by the use or operation of ski lifts. (4) "Passenger" means any person who is lawfully using any passenger tramway. (5) "Passenger tramway" means a device as defined in section 25-5-702 (4), C.R.S. (6) "Ski area" means all ski slopes or trails and other places under the control of a ski area operator and administered as a single enterprise within this state. (7) "Ski area operator" means an "area operator" as defined in section 25-5-702 (1), C.R.S., and any person, partnership, corporation, or other commercial entity having operational responsibility for any ski areas, including an agency of this state or a political subdivision thereof. 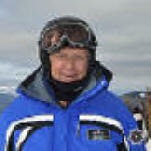 (8) "Skier" means any person using a ski area for the purpose of skiing; for the purpose of sliding downhill on snow or ice on skis, a toboggan, a sled, a tube, a ski-bob, a snowboard, or any other device; or for the purpose of using any of the facilities of the ski area, including but not limited to ski slopes and trails. (9) "Ski slopes or trails" means those areas designated by the ski area operator to be used by skiers for any of the purposes enumerated in subsection (8) of this section. Such designation shall be set forth on trail maps, if provided, and designated by signs indicating to the skiing public the intent that such areas be used by skiers for the purpose of skiing. Nothing in this subsection (9) or in subsection (8) of this section, however, shall imply that ski slopes or trails may not be restricted for use by persons using skis only or for use by persons using any other device described in subsection (8) of this section. 33-44-104. Negligence - civil actions. (2) A violation by a ski area operator of any requirement of this article or any rule or regulation promulgated by the passenger tramway safety board pursuant to section 25-5-704 (1) (a), C.R.S., shall, to the extent such violation causes injury to any person or damage to property, constitute negligence on the part of such operator. (3) All rules adopted or amended by the passenger tramway safety board on or after July 1, 1979, shall be subject to sections 24-4-103 (8) (c) and (8) (d) and 24-34-104 (9) (b) (II), C.R.S. (1) No passenger shall board a passenger tramway if he does not have sufficient physical dexterity, ability, and knowledge to negotiate or use such facility safely or until such passenger has asked for and received information sufficient to enable him to use the equipment safely. A passenger is required to follow any written or verbal instructions that are given to him regarding the use of the passenger tramway. (g) Disobey any instructions posted in accordance with this article or any verbal instructions by the ski area operator regarding the proper or safe use of a passenger tramway unless such verbal instructions are contrary to this article or the rules promulgated under it, or contrary to posted instructions. 33-44-106. Duties of operators - signs. (II) Instructions for procedures in emergencies. (VI) "Check for Loose Clothing and Equipment", which shall be located before the "Prepare to Unload" sign. (III) "Prepare to Unload", which shall be located not less than fifty feet ahead of each unloading area. (g) At or near the boarding area of all lifts, regarding the requirements of section 33-44-109 (6). (2) Other signs not specified by subsection (1) of this section may be posted at the discretion of the ski area operator. (3) The ski area operator, before opening the passenger tramway to the public each day, shall inspect such passenger tramway for the presence and visibility of the signs required by subsection (1) of this section. (4) The extent of the responsibility of the ski area operator under this section shall be to post and maintain such signs as are required by subsection (1) of this section in such condition that they may be viewed during conditions of ordinary visibility. Evidence that signs required by subsection (1) of this section were present, visible, and readable where required at the beginning of the passenger tramway operation on any given day raises a presumption that all passengers using said devices have seen and understood said signs. 3-44-107. Duties of ski area operators - signs and notices required for skiers' information. (1) Each ski area operator shall maintain a sign and marking system as set forth in this section in addition to that required by section 33-44-106. All signs required by this section shall be maintained so as to be readable and recognizable under conditions of ordinary visibility. (d) Danger areas, designated by a red exclamation point inside a yellow triangle with a red band around the triangle and the word "Danger" printed beneath the emblem. Danger areas do not include areas presenting inherent dangers and risks of skiing. (e) Closed trails or slopes, designated by an octagonal-shaped sign with a red border around a white interior containing a black figure in the shape of a skier with a black band running diagonally across the sign from the upper right-hand side to the lower left-hand side and with the word "Closed" printed beneath the emblem. "WARNING: This lift services (most difficult) or (most difficult and more difficult) or (more difficult) slopes only." (4) If a particular trail or slope or portion of a trail or slope is closed to the public by a ski area operator, such operator shall place a sign notifying the public of that fact at each identified entrance of each portion of the trail or slope involved. Alternatively, such a trail or slope or portion thereof may be closed with ropes or fences. (5) The ski area operator shall place a sign at or near the beginning of each trail or slope, which sign shall contain the appropriate symbol of the relative degree of difficulty of that particular trail or slope as set forth by subsection (2) of this section. This requirement shall not apply to a slope or trail designated "easiest" which to a skier is substantially visible in its entirety under conditions of ordinary visibility prior to his beginning to ski the same. (6) The ski area operator shall mark its ski area boundaries in a fashion readily visible to skiers under conditions of ordinary visibility. Where the owner of land adjoining a ski area closes all or part of his land and so advises the ski area operator, such portions of the boundary shall be signed as required by paragraph (e) of subsection (2) of this section. This requirement shall not apply in heavily wooded areas or other nonskiable terrain. (7) The ski area operator shall mark hydrants, water pipes, and all other man-made structures on slopes and trails which are not readily visible to skiers under conditions of ordinary visibility from a distance of at least one hundred feet and shall adequately and appropriately cover such obstructions with a shock-absorbent material that will lessen injuries. Any type of marker shall be sufficient, including but not limited to wooden poles, flags, or signs, if the marker is visible from a distance of one hundred feet and if the marker itself does not constitute a serious hazard to skiers. Variations in steepness or terrain, whether natural or as a result of slope design or snowmaking or grooming operations, including but not limited to roads and catwalks or other terrain modifications, are not man-made structures, as that term is used in this article. (8) (a) Each ski area operator shall post and maintain signs which contain the warning notice specified in paragraph (c) of this subsection (8). Such signs shall be placed in a clearly visible location at the ski area where the lift tickets and ski school lessons are sold and in such a position to be recognizable as a sign to skiers proceeding to the uphill loading point of each base area lift. Each sign shall be no smaller than three feet by three feet. Each sign shall be white with black and red letters as specified in this paragraph (a). The words "WARNING" shall appear on the sign in red letters. The warning notice specified in paragraph (c) of this subsection (8) shall appear on the sign in black letters, with each letter to be a minimum of one inch in height. 33-44-108. Ski area operators - additional duties. (1) Any motorized snow-grooming vehicle shall be equipped with a light visible at any time the vehicle is moving on or in the vicinity of a ski slope or trail. (2) Whenever maintenance equipment is being employed to maintain or groom any ski slope or trail while such ski slope or trail is open to the public, the ski area operator shall place or cause to be placed a conspicuous notice to that effect at or near the top of that ski slope or trail. (3) All snowmobiles operated on the ski slopes or trails of a ski area shall be equipped with at least the following: One lighted headlamp, one lighted red tail lamp, a brake system maintained in operable condition, and a fluorescent flag at least forty square inches mounted at least six feet above the bottom of the tracks. (4) The ski area operator shall have no duty arising out of its status as a ski area operator to any skier skiing beyond the area boundaries marked as required by section 33-44-107 (6). (5) The ski area operator, upon finding a person skiing in a careless and reckless manner, may revoke that person's skiing privileges. This subsection (5) shall not be construed to create an affirmative duty on the part of the ski area operator to protect skiers from their own or from another skier's carelessness or recklessness. 33-44-109. Duties of skiers - penalties. (1) Each skier solely has the responsibility for knowing the range of his own ability to negotiate any ski slope or trail and to ski within the limits of such ability. Each skier expressly accepts and assumes the risk of and all legal responsibility for any injury to person or property resulting from any of the inherent dangers and risks of skiing; except that a skier is not precluded under this article from suing another skier for any injury to person or property resulting from such other skier's acts or omissions. Notwithstanding any provision of law or statute to the contrary, the risk of a skier/skier collision is neither an inherent risk nor a risk assumed by a skier in an action by one skier against another. (2) Each skier has the duty to maintain control of his speed and course at all times when skiing and to maintain a proper lookout so as to be able to avoid other skiers and objects. However, the primary duty shall be on the person skiing downhill to avoid collision with any person or objects below him. (3) No skier shall ski on a ski slope or trail that has been posted as "Closed" pursuant to section 33-44-107 (2) (e) and (4). (4) Each skier shall stay clear of snow-grooming equipment, all vehicles, lift towers, signs, and any other equipment on the ski slopes and trails. (5) Each skier has the duty to heed all posted information and other warnings and to refrain from acting in a manner which may cause or contribute to the injury of the skier or others. Each skier shall be presumed to have seen and understood all information posted in accordance with this article near base area lifts, on the passenger tramways, and on such ski slopes or trails as he is skiing. Under conditions of decreased visibility, the duty is on the skier to locate and ascertain the meaning of all signs posted in accordance with sections 33-44-106 and 33-44-107. (6) Each ski used by a skier while skiing shall be equipped with a strap or other device capable of stopping the ski should the ski become unattached from the skier. This requirement shall not apply to cross country skis. (7) No skier shall cross the uphill track of a J-bar, T-bar, platter pull, or rope tow except at locations designated by the operator; nor shall a skier place any object in such an uphill track. (8) Before beginning to ski from a stationary position or before entering a ski slope or trail from the side, the skier shall have the duty of avoiding moving skiers already on the ski slope or trail. (9) No person shall move uphill on any passenger tramway or use any ski slope or trail while such person's ability to do so is impaired by the consumption of alcohol or by the use of any controlled substance, as defined in section 12-22-303 (7), C.R.S., or other drug or while such person is under the influence of alcohol or any controlled substance, as defined in section 12-22-303 (7), C.R.S., or other drug. (10) No skier involved in a collision with another skier or person in which an injury results shall leave the vicinity of the collision before giving his name and current address to an employee of the ski area operator or a member of the voluntary ski patrol, except for the purpose of securing aid for a person injured in the collision; in which event the person so leaving the scene of the collision shall give his name and current address as required by this subsection (10) after securing such aid. (1) The ski area operator shall, prior to the beginning of a competition, allow each competitor a reasonable visual inspection of the course or area where the competition is to be held. (2) The competitor shall be held to assume the risk of all course conditions including, but not limited to, weather and snow conditions, course construction or layout, and obstacles which a visual inspection should have revealed. No liability shall attach to a ski area operator for injury or death of any competitor proximately caused by such assumed risk. All actions against any ski area operator or its employees brought to recover damages for injury to person or property caused by the maintenance, supervision, or operation of a passenger tramway or a ski area shall be brought within two years after the claim for relief arises and not thereafter. 33-44-112. Limitation on actions for injury resulting from inherent dangers and risks of skiing. Notwithstanding any judicial decision or any other law or statute to the contrary, including but not limited to sections 13-21-111 and 13-21-111.7, C.R.S., no skier may make any claim against or recover from any ski area operator for injury resulting from any of the inherent dangers and risks of skiing. The total amount of damages which may be recovered from a ski area operator by a skier who uses a ski area for the purpose of skiing or for the purpose of sliding downhill on snow or ice on skis, a toboggan, a sled, a tube, a ski-bob, a snowboard, or any other device and who is injured, excluding those associated with an injury occurring to a passenger while riding on a passenger tramway, shall not exceed one million dollars, present value, including any derivative claim by any other claimant, which shall not exceed two hundred fifty thousand dollars, present value, and including any claim attributable to noneconomic loss or injury, as defined in sections 13-21-102.5 (2), C.R.S., whether past damages, future damages, or a combination of both, which shall not exceed two hundred fifty thousand dollars. If, upon good cause shown, the court determines that the present value of the amount of lost past earnings and the present value of lost future earnings, or the present value of past medical and other health care costs and the present value of the amount of future medical and other health care costs, or both, when added to the present value of other past damages and the present value of other future damages, would exceed such limitation and that the application of such limitation would be unfair, the court may award damages in excess of the limitation equal to the present value of additional future damages, but only for the loss of such excess future earnings, or such excess future medical and other health care costs, or both. For purposes of this section, "present value" has the same meaning as that set forth in section 13-64-202 (7), C.R.S., and "past damages" has the same meaning as that set forth in section 13-64-202 (6), C.R.S. The existence of the limitations and exceptions thereto provided in this section shall not be disclosed to a jury. 33-44-114. Inconsistent law or statute. Insofar as any provision of law or statute is inconsistent with the provisions of this article, this article controls. Go on to Attorney General and Sheriff Warning Against Reckless Skiing. This "Colorado Ski Safety Act of 1979" page was last modified 11/03/2017 07:21:42 AM. Did you come here from a link on another website? For latest version of this page, copy to your browser: http://www.skimybest.com/skisafe.htm. Copyright © 2013, 2014, 2015, 2016, 2017, 2018, 2019. William R Jones.